Dreams do come true! 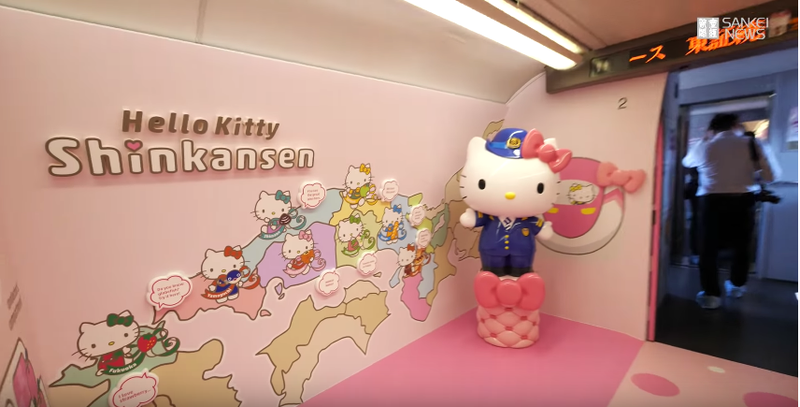 Last month, there was only concept art for the Hello Kitty bullet train. And now, here is the actual train. Have an inside look. I hope you like pink, because Hello Kitty sure does. Just imagine this passing you. The train will begin service between Osaka and Hakata on June 30.